Marcomms pros believe Cambridge Analytica will launch under new brand. Twittersphere cynical about data firm's decision to shut its doors after media siege. The data analytics and strategic comms shop shuttered on Wednesday. LONDON: Cambridge Analytica’s shut down following months of controversy provoked skeptical reactions on social media from comms and marketing pros. Most said they believed the data firm would merely relaunch under a different brand. Other Twitter users resurfaced earlier reports that many of the data analytics company’s key players, such as former CEO Alexander Nix and financiers Rebekah and Jennifer Mercer, have already formed a new company called Emerdata. However, Gizmodo reports the chair of the firm’s parent company, SCL Group, said a rebranding would be "futile," citing internal documentation. 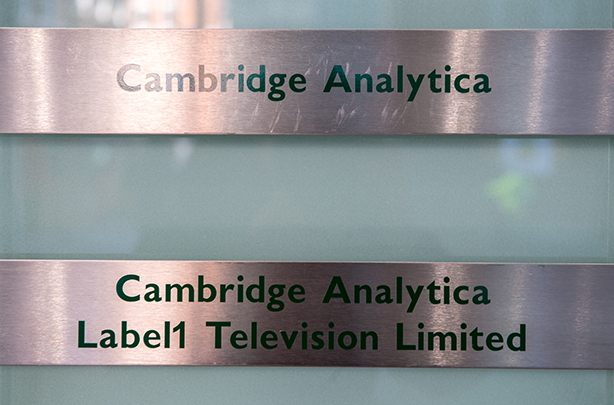 Cambridge Analytica said it was closing because of insolvency issues, pinning the blame on the "siege of media coverage" as clients reportedly fled the company and onerous legal fees piled up. The data firm is accused of improperly obtaining and misusing Facebook data of 87 million Americans, information it used for Donald Trump’s 2016 presidential election. But the company continued to defend its practices and said in a statement: "Over the past several months, Cambridge Analytica has been the subject of numerous unfounded accusations and, despite the company’s efforts to correct the record, has been vilified for activities that are not only legal, but also widely accepted as a standard component of online advertising in both the political and commercial arenas." Cambridge Analytica retained Clarence Mitchell, a former director at public affairs shop JBP. He was also a former BBC royal correspondent and spokesperson for the family of missing child Madeleine McCann. Its previous PR support, North 6th Agency, cut ties with the company shortly after the Facebook revelations. The ethical bankruptcy of the "hey, we tricked them with the fine print fair & square" argument shows that we need to pass laws protecting citizens. Corrupt businesses will eagerly do The Wrong Thing & hope they don't get caught. The legality of it only matters to the post-hoc. Of course, I end up delivering breaking news to #AdAgeSurvivalSummit attendees during our panel of #CambridgeAnalytica announcement of insolvency. No one in this room would hire them and that’s their problem. Look forward to Cambridge Analytica reorganizing under bankruptcy and relaunching under "Bambridge Banalytica: We're Totally Not Cambridge Analytica."